Pre – TOPS no D5522 – Vacuum Braked. Withdrawn from traffic – 06/10/95. Reason for withdrawal – Main/Big End Bearings/Crankshaft damage. 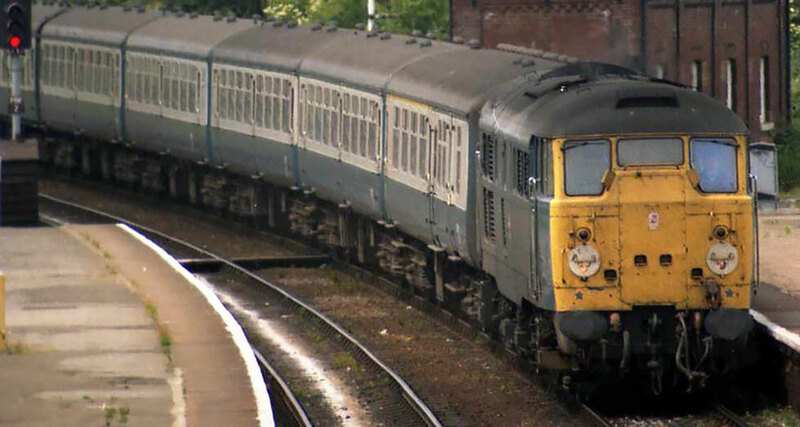 Final Passenger working – 1M32 1410 Edinburgh – Liverpool ( Preston – Liverpool ) – 03/05/94. ETH fitted and Dual Braked at Doncaster Works – 1973. HGR in Doncaster Wks , Boiler removed – 10/87. Worked the Royal Train to Newton Aycliffe conveying HRH Prince Charles in 1978.